National Agricultural Statistics Service’s annual survey features upward move of almost 2 percent to $3,140 per acre. 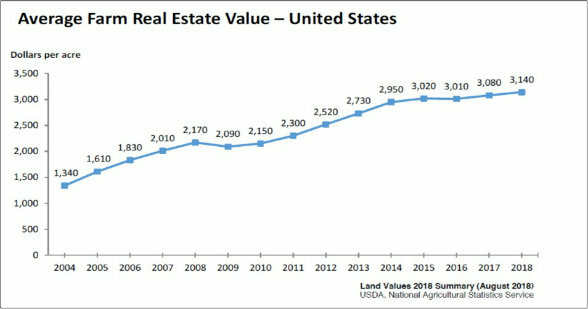 U.S. farm real estate value — a measurement of the value of all land and structures on farms — averaged $3,140 per acre for 2018, an increase of $60 per acre (1.9 percent) over 2017 values. The report, which was released on August 2, traces the steady rise in farmland values since 2004. 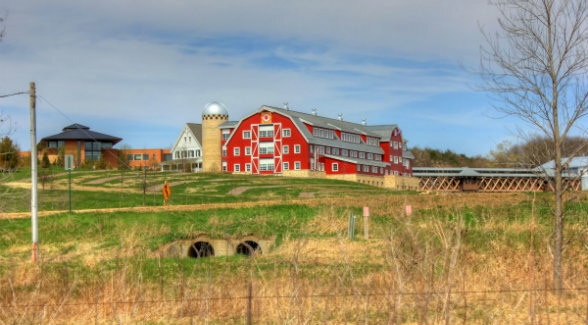 Only once in those 14 years did farmland values decline nationally: in 2009, from $2,170 per acre to $2,090 per acre or less than 4 percent. In 2018, values in the Corn Belt topped the charts at $6,430 per acre. At $1,140 per acre, the eight-state Mountain region had the lowest farm real estate value. 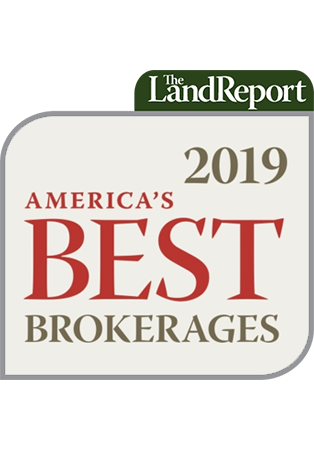 The region with the biggest gain was the Southern Plains (Oklahoma and Texas), where land values jumped 8.3 percent to $2,220 per acre.